Sniper On Campus | When Grandpa Was A Boy, Were There Any Dinosaurs? 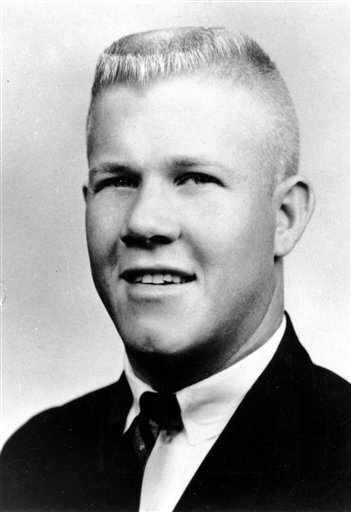 1966: Charles Whitman, a student at the University of Texas at Austin and a former Marine, confided to the university psychiatrist that he often thought of shooting people from a tower that dominated the campus. Whitman “seemed to be oozing with hostility”, but other students came to the psychiatrist with fantasies about the tower, so he wasn’t unduly concerned. Hours later, Whitman drove to his mother’s apartment and bludgeoned her and then returned home and stabbed his wife. At 3 o’clock the next morning, he noted in the margin of his letter, “Both Dead”. Shortly before midday, armed with rifles, a shotgun, pistols and knives, he took up a sniping position near the top of the tower. Fantasy became reality. In the 90 minutes before he was shot dead, he killed 14 people and wounded 32.